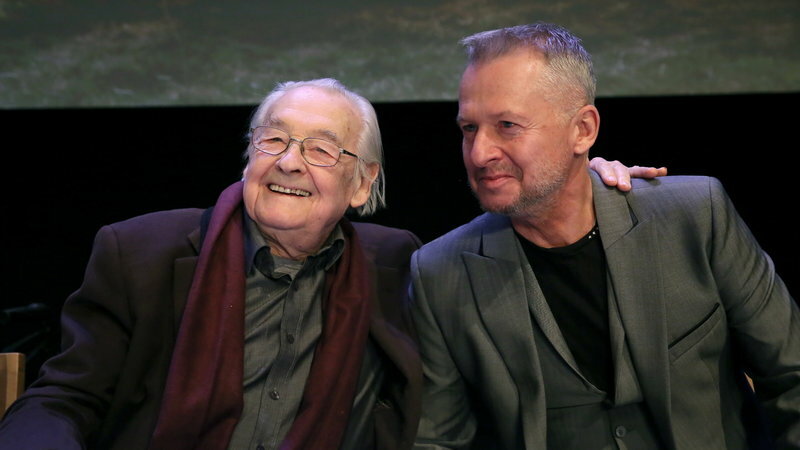 During the 41st Film Festival in Gdynia will be many events associated with the jubilee of 90th birthday of Andrzej Wajda. One of them will be a preview screening of the his latest film "Afterimage". One of the most important and most intensely awaited events of the Festival will be a closed, special screening for the accredited Festival guests of the most recent film by Andrzej Wajda: "Afterimage" ("Powidoki"). The main character of the biopic is the Polish painter Władysław Strzemiński: an artist who did not succumb to the pressures of socialist realism and faced dramatic consequences of his choices. "Afterimage" is a story of how the Communist authorities destroyed a charismatic, defiant artist, and at the same time, it is an intimate record of the last period of life of the pioneer of the avant-garde in Poland of the 20s and 30s of the 20th century. The main role in the film is played by the winner of awards for acting at the Gdynia Film Festival - Bogusław Linda. The theme of art, and especially of painting, is inseparably related to the work of Andrzej Wajda. Therefore, 41st Gdynia Film Festival will present a documentary produced by Adam Mickiewicz Institute and Amulet Films:"Wróblewski According to Wajda" - a personal statement by the director on the topic of the painting art of his friend, Andrzej Wróblewski, the times when he lived and created art, the influence of Wróblewski's art on the personal life and art decisions of Andrzej Wajda. The film was made during the preparation of the exhibition of Andrzej Wróblewski's art, initiating the activity of Europe–Far East Gallery in the Manggha Museum in Krakow. During the Festival, a special screening of the digitally reconstructed film "Innocent Sorcerers" by Andrzej Wajda will also be held. The film was included, among 24 other titles, in the series "Martin Scorsese Presents: Masterpieces of Polish Cinema" recently promoted by the DI Factory company. Partners of the publication are the following: Studio Filmowe KADR, Studio Filmowe TOR, Studio Filmowe ZEBRA and the Digital Film Repository. Andrzej Bukowiecki described "Innocent Sorcerers" as a New Wave in a nostalgic Polish form. ", breathing the air of the political renewal, live day by day. They listen to jazz, which used to be prohibited before, and they play this music themselves (by the very Krzysztof Komeda!). They hang out around entertainment spots, they drive scooters, they flirt... Those from the iconic film by Andrzej Wajda made the Communist authorities furious with their way of being, which was far different from the socialist ideals." During the 41st Gdynia Film Festival, a promotion of a spceial box-set of DVDs entitled "Wajda", comprising 25 films of the director, from "A Generation" to "Walesa: Man of Hope", will be held. The box has been prepared by the Digital Film Repository and the Polish Film Institute on account of the 90th birthday of the Master. This unusual box also includes 15 DVDs with various additional materials: for instance, documentaries and short films of the Director, films about him, television interviews, coverage from the film spots as well as special wishes from Martin Scorsese who is at the same time the author of the foreword to the whole publication. The films are supplemented with a book which includes comments and stories of Wajda related to his particular works. The scale and editing quality make the publication an absolutely singular undertaking.